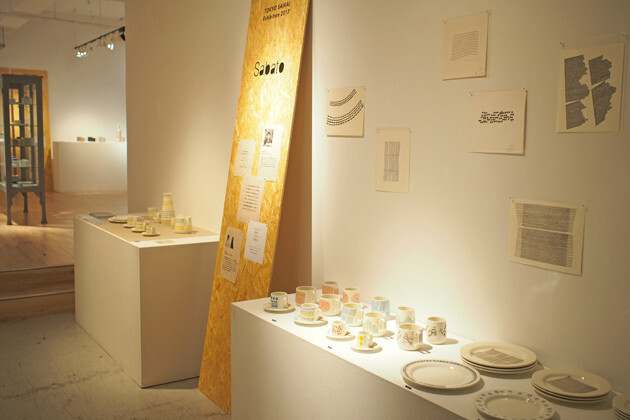 We are now showing "TOKYO SAIKAI Exhibition 2017" at CLASKA Gallery & Shop "DO". 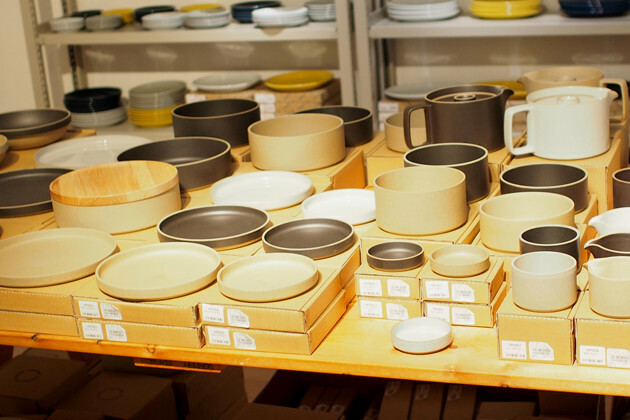 TOKYO SAIKAI, is a company that manufactures and produces the traditional Hasami-yaki (Pottery made in Hasami, Nagasaki) into modernly designed products. A new brand, and some new products are presented at the exhibition, as well as a fullfilling lineup of their popular brands. 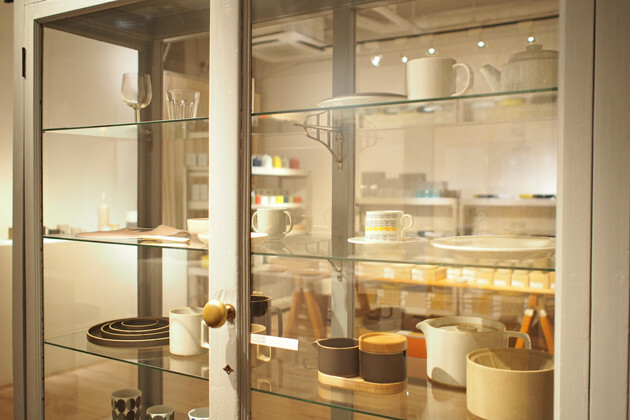 Most of the tableware is available for purchase. A brand name, meaning "Saturday" in Italian. 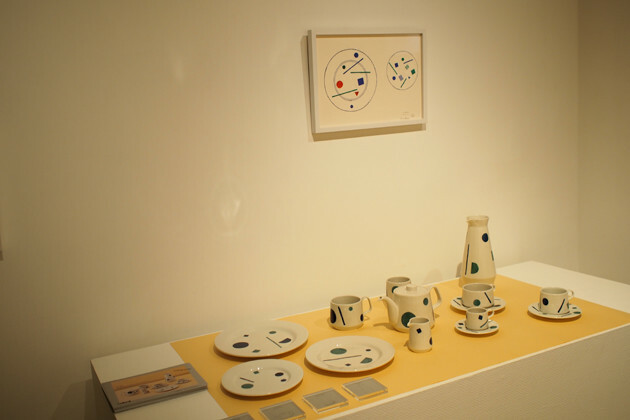 The colorful illustrations by Aoi Huber and carefully designed configuration by DRILL DESIGN meets the long-living methods and knowledge of Hasami-yaki, creating this fun & handy ceramic brand. Named "SOLE (sun)", "CASA (house)" and more, the illustrations invite us to a relaxing & exciting weekend. 2 new series that are planned to be on market soon are presented - "MARE" and "FUGA". The illustrations on the wall shows the creating process. A new brand, shown for the 1st time in Japan. To create sustainable tableware for the once and only childhood, Maija Puoskari from Finland has designed the set of 5 - a small mug, plate, bowl, bib, wooden spoon. 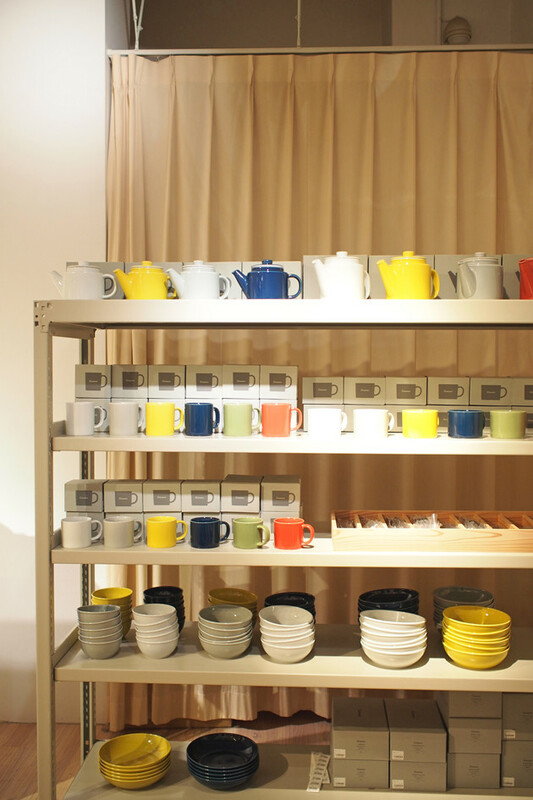 For children (and parents) to use pottery more casually, TOKYO SAIKI offers free replacement for broken mug / plate / bowl (only 1 piece per set, warranty period of 3 years). Unlike most children tableware "NUPPU" is designed ever so simply with pale Finnish flower colors, so the set can be used in the family once the child has grown. A brand directed by Takuhiro Shinomoto (tortoise). 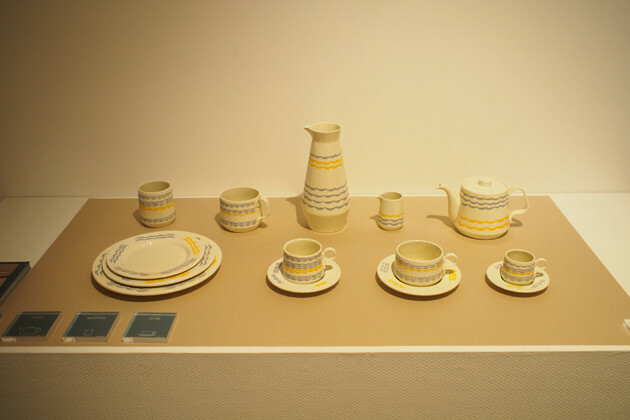 Plates, bowls, teapots and bottles. 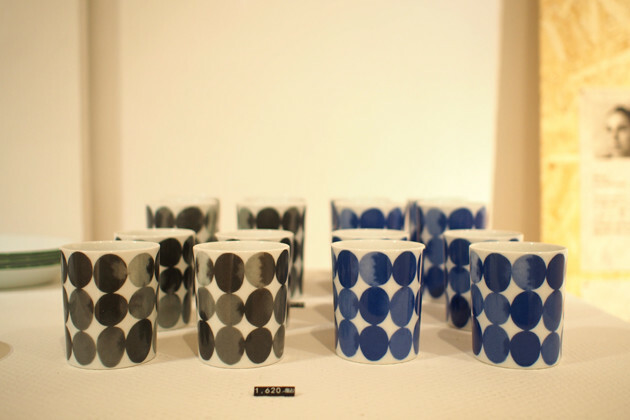 A range of shapes are made with 3 color patterns: unglazed, white and black. CLASKA Restaurant "kiokuh" on the 1st floor of CLASKA uses this brand for lunch menus. Drop by for lunch, if you would like to see how the plates look when used for serivng. 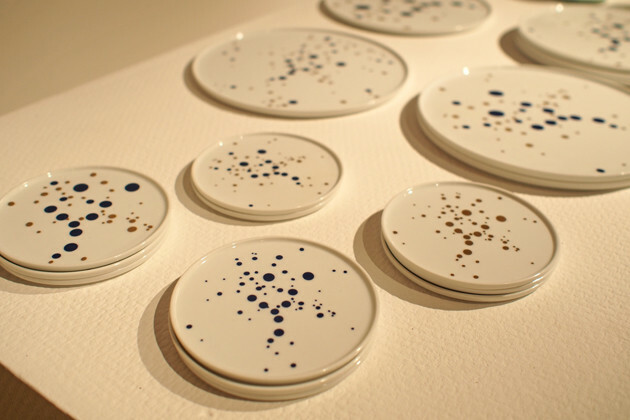 Transcending nationality or era, is the simply & beautifully designed tableware "Common". 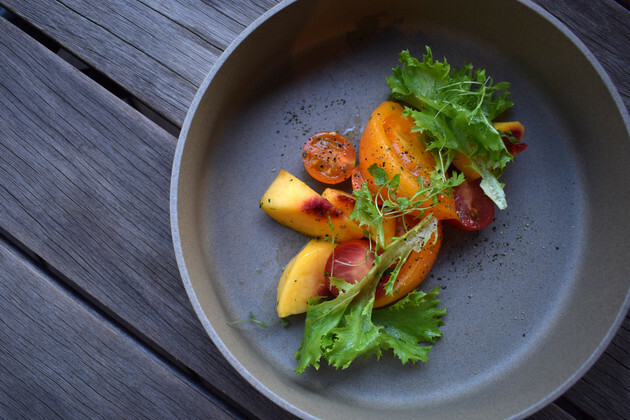 The high quality and reasonable price, the smooth and universal design by Yota Kakuda, and the color variation should fit these tableware as a "common" choise for many. These items may not appear on the market in the future, so don't miss the chance to see & purchase the works. The 5 designers participating in this brand are: Aleksandra Stratimirovic, Anna Lerinder, Ylva Wfranzen, Magdalena Nilsson, Yoko Andersson. 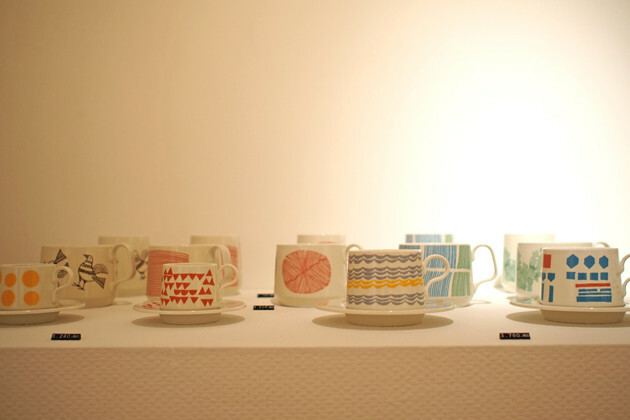 The handmade tableware is full of each designers' characteristics, so enjoy the 5 totally different series. 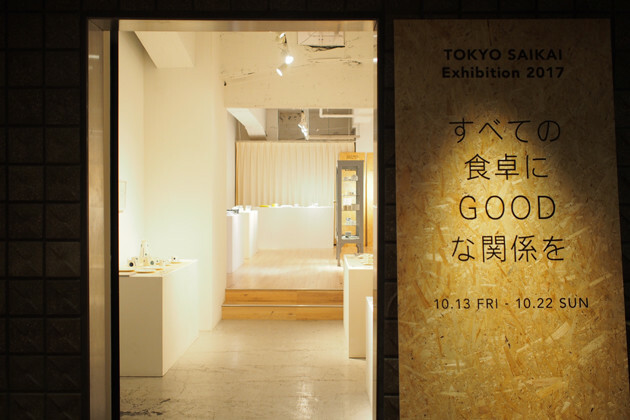 Exhibition held till October 22nd.